A super fresh salad of lettuce, tomatoes and cucumber dressed with spiced yogurt and fresh herbs and finished with spiced peanuts. 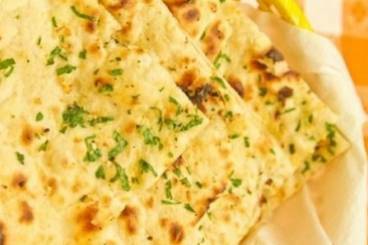 Classic Indian flat bread, traditionally cooked in a Tandoor. Great to go with a curry or dahl. 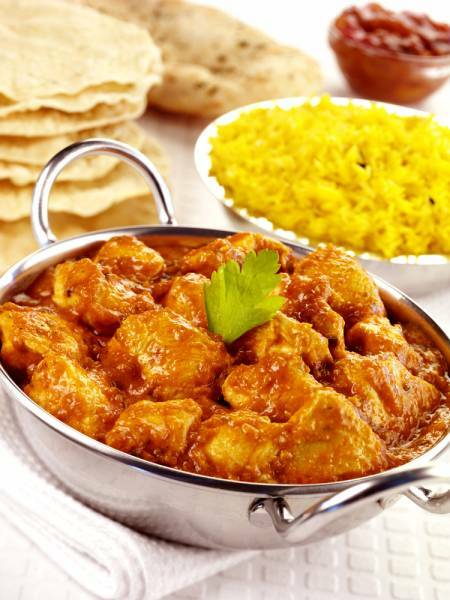 A fresher version of a classic creamy korma, thought to have originated in the Bhopal region of India. The 'Shahi' denotes a prestige dish for special occasions. A classic Indian side dish of spiced potatoes and spinach. A delicious Indian street food dessert made with either reduced milk or evaporated milk and fruit.